It is said that Albert Einstein once asked, “If a cluttered desk is a sign of a cluttered mind, what are we to think of an empty desk?” While not famous for his quips—although E=mc2 is the soul of wit in its brevity—this neatly captures the perspective of a person who kept his desk almost confrontationally cluttered. The human mind is an organizer, the greatest one we happen to know, the one that all of our tools and machines are built in an attempt to replicate its principles and imagined actions. Nature itself does not organize. Every organizing structure we come up with is an imposition on nature and is thus radically random, at least as far as nature is concerned: No method of organizing is more “correct” than any other. Alphabetical order? Which alphabet? In “forward” or “reverse” order? Do we use “The” or its equivalent or no? The human mind finds and makes connections between things and ideas, or the representations of ideas: words, papers, books. In an ideal sense, all ideas are equal. The work of organizing, re-cluttering, and finding new connections is a creative act. Thus, Einstein was right, as far as I am concerned, at least until I clean my desk, at which time I will change my mind about this: A cluttered work space is the same as an organized work space, it’s just that only one of them meets some person’s random aesthetic standards of ideal desk appearance. I have lived with hyper-organized spaces that I created for myself: Books separated by subject and then alphabetized within those subjects (left to right, by author last name). Subjects organized alphabetically, too. Multiple titles by the same author within a section arranged chronologically by publication date. I have lived with virtual file folders inside virtual file folders on my computer. A clean computer desktop, with just the “C:” icon and the trash bin and maybe the couple of virtual folders that contained whatever I was working on at that moment. 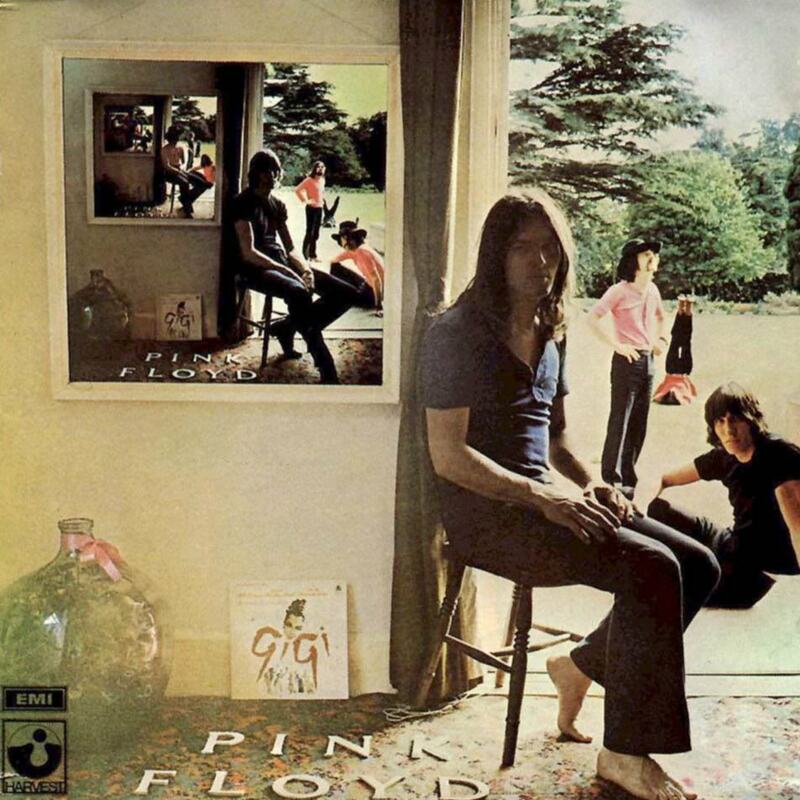 I haven’t listened to Ummagumma in quite a while. In the past, I have worked on organizing my kitchen, only to discover how inefficient that made me. I alphabetized the spices. I have arranged the clothes in my closet by color. My baseball card collections (many complete sets) were always divided into American and then National leagues, and then broken into teams, my favorites first, favorite players on each team towards the front. Perhaps you have noticed that, in the past, I was kind of a rigid idiot. Finally it occurred to me that the best, most efficient, kitchen organizing principle was “frequency of use near the areas of frequent use.” And that principle, which really is a just-barely controlled entropy, is what guides most of my organization now. This post was started in 2014 and re-visited last August.